Disclaimer – There are a few affiliate links in this post. It simply means that if you click and buy something from this post, I will get a small commission with no extra costs to you. Tweens are a tricky lot to gift. They are not small kids who need constant attention and pampering however they are not old enough to manage things on their own. Add to it the feeling of independence, subtle changes in behavior, rebellious to a certain degree and a distinct clarity of choices makes gifting a complicated matter. I had the firsthand experience of this when we were birthday shopping for my tween. That’s when I decided that gifting ideas for Tweens is going to be my next blog topic! Tween are children in the age group of 8-12. It is those ‘between years’ where they have outgrown the ‘kids’ category but are not yet in the ‘teen’ category. They are experiencing subtle changes physically and emotionally and the same is also reflected in their behavior, choices and overall attitude. We need to put some thought into the kind of gifts that we would give them. Usually I prefer gifting a book or an educational toy, but when it was time for my tweens birthday, we decided to ask her. I know she isn’t much into reading and I didn’t want to gift clothes. So, we visited Hamley’s and that was like opening a genie from a bottle! Kids went from clear to confused in 10 seconds flat! The pre-decided list was chucked and a new list was in the making. As we walked past shelves of interesting and amazingly beautiful toys, I made a quick mental note of toys that got her and other children in her age-group excited. This is the first thing that caught our attention. The telescope has some really good optic lenses and hence they are perfect for star gazing, bird watching or even for observing cityscapes from high altitudes. The one that we saw had 90 x zoom that is decent to watch the night sky! I think I was more excited, seeing it than my kid! This is a superb gifting idea for kids interested in astronomy. There were a lot of DIY science kits that provided practical use and fun experiments to create scientific models. The models that we saw were ‘Make a volcano’, ‘make a motor boat, telegram, bell’ etc. These were really fun ideas and I remembered the science fairs when we were expected to create such working models. I am not sure if they were a single use or a multi- use kits, however considering the amount, I assume it to be single use products. Nevertheless, they created quite a stir among our young audience and there was a lot of discussion as every box was picked. There is some inexplicable fun in seeing a flying object! And if you can control it then it is also a matter of amusement. Such was the look on the face of our tweens when they saw a drone zoom in and fly low over their heads! It was something that the hubster was super excited about, but sadly it failed to impress the birthday girl and we had to leave it at that. But by the time we left the store, atleast two parents were carrying the toy home! There were a lot of remote controlled toys rights from cars, trains to helicopters. This added to the whole magic land feeling with toys zooming past us and some over us! Again the remote controlled cars and trains was something that got my younger one interested however as his birthday wasn’t anywhere in sight, we decided to give it a miss! These are some fun sketchpens! Available in 4 packs, each with a distinct ability, these pens make a great collection for kids interested in coloring, calligraphy or even understand color blending. The pens come in packs like color stacker, double magic, wipe colors and magic pens. Some pens change color after being written on them, while some have two colors in them. Some more can wipe the colors after being written. There are a few ‘how to’ videos available on YouTube and the sales people do a good job of stimulating the creativity of the children. Shifu’s Augmented Reality Games are really fun! There are cards totaling 20 to 60 in number and with an app that can be downloaded on the phone or tablet, the planets come alive with this game. Placing the cards in front of the camera, using the shifu app will make the card alive and you can see the planet revolving in front of you with some extra reading available on the side. The 60 card game has a lot of information. It showcases rockets, planets, solar system, stars and a lot more. It is extremely informative and fun. Smartivity is another DIY kind of toys which have a some fun science and practical workable models of things like a periscope, Kaleidoscope etc. This is again a very hands on toy and if you enjoy creating models with your children then this should interest you. Apart from these I saw a step on it Piano, Robot making toolkit and even some battery operated ball! I even saw a battery operated child companion which could provide answers to the child, play music and even teach a few things! The possibilities are endless, and these are the few toys that I found stimulating and entertaining at the same time. Have you come across some interesting toys which can be gifted to tweens ? Which are your favorites? All the product are amazing & kids able to learn new things. Wonderful & useful writeup. Tweenage is a confusing phase for kids. As you a said they go through emotional and physical changes and their brain works in a different manner. It gets challenging when you have yo gift a tweenage kid. My first option is Gift Cards. But now I have few good options yo consider from your list. Bang on, that’s what my home is filled of, all of these options already except the drone. Excellent ideas.. my neice has just got 10 and I keep wondering what to get her.. these look interesting..
You have solved the number one problem of tween parents. Smart educative toys are our best choice. So many exciting options… I keep thinking how awesome i would have felt had I got a drone at that age! Kids of today really have some.innovative options which enhance their learning abilities and are fun to play with. This list made me confused as to which would be more an ideal gift. 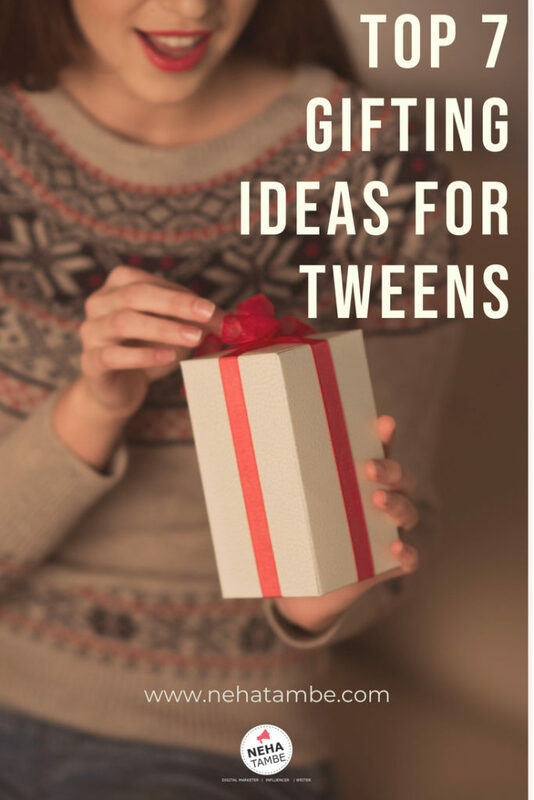 Fab gifting ideas for tweens. I’ll check out DIY-Science activity games and drone for my niece. Thanks for sharing. The best gifting ideas for Tweens, the children between 8 to 12 years, this is the age when they hang in middle of young children adolescents. 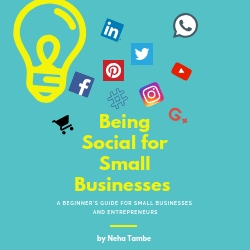 Find out the best gifts for them curtesy Neha Tambe. Wow a telescope sounds to be cool! I think my kids will definitely love it! My tween is fond of stationary and books. It is easier for me to gift her on every small occasion since I know she would be happy to have them. The latest addition to her list is wristwatches.